would like to be seen at. Sign-up using the form or call us at 206-233-0818. Your Auto and Work Injury Specialists! Back and Neck Pain Centers was founded by the late Dr. Austen Chan in 1986. 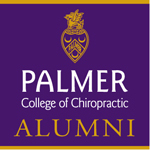 Dr. Chan was a nuclear physicist, then returned to school to earn his chiropractic degree. It was Dr. Chan's vision that allowed Back and Neck Pain Centers to grow to multiple locations, with a focus on the treatment of injuries related to motor vehicle collisions, work injuries, and sports injuries. Our clinics take pride in providing the highest quality of care. What makes us different from the rest? We spend quality time with each patient. It starts with a thorough history and examination, to help diagnose your problem. Then we formulate a treatment plan and discuss it with you, to make sure that it meets your needs and expectations. Each visit, we discuss with you your progress, and make sure you are comfortable with your treatments. We pride ourselves in our ability to communicate with our patients and we encourage this communication by offering private and individual treatment rooms at all of our clinics. Our clinics also provide soft tissue treatments as part of your treatments. Using trigger point therapy myofascial release techniques, your muscles will feel better. For stubborn spots, we'll refer you to our massage therapists, which are onsite. If you are looking for a 30-second treatment, we're not your clinic. If you're looking for quality care and a long-term solution, with instructions on stretching and exercises, you've found your clinic! "if you have neck/back pains go see Dr.Wu and he will fix you right up.. thanks Dr. Wu for everything you have done for me so far.. go check it out you'll be happy you did...two thumbs up..."
When requesting an appointment, please indicate which clinic you prefer to be seen at. Please indicate which clinic you would like to be seen at.